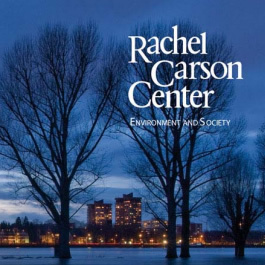 The Rachel Carson Center for Environment and Society invites applications for its 2015–16 cohort of postdoctoral and senior fellows. The fellowship program, directed by Christof Mauch (LMU Munich) and Helmuth Trischler (Deutsches Museum) is designed to bring together excellent scholars who are working in environmental history and related disciplines. Successful applicants are expected to begin their fellowship between September 1st. 2015 and December 1st. 2016. Deadline for applications: 31 January 2015.The Rachel Carson Center for Environment and Society will award fellowships to scholars from a variety of countries and disciplines. Applicants’ research and writing should ideally pertain to the central theme of the RCC – transformations in environment and society. Research at the RCC is concerned with questions of the interrelationship between environmental and social changes, and in particular the reasons—the social, political, cultural, and environmental factors—behind these transformations. The concept of “transformations” gives us an adjustable lens that allows us to keep in our sights a vast range of changes—from the quick adjustments in human behavior that interest sociologists to the gradual changes over millennia that are central for geologists and climatologists, and of course the short- and long-term shifts that fascinate historians and philosophers. The program awards writing fellowships only; the RCC does not sponsor field trips or archival research. Fellows are expected to spend their fellowship in residence, to work on a major research project, to attend the weekly lunchtime colloquium, and to present their research at the center. All successful applicants should plan to begin their fellowship between 1 September 2015 and 1 December 2016; it will not be possible to start a fellowship awarded in this round at a later date. Decisions about the fellowships will be announced in mid-May 2015. Fellowships will usually be granted for periods of 3, 6, 9, or 12 months. The RCC will pay for a replacement of the successful candidate at his or her home institution; alternatively it will pay a stipend that is commensurate with experience and current employment. The deadline for applications is 31 January 2015. You may write your application in either English or German; please use the language in which you are most proficient. You will be notified about the outcome of your application by mid-May 2015. This entry was posted in Employment Opportunities, Environmental Studies, Fellowships and tagged Environmental Ethics, Environmental Humanities, Environmental Studies, Interdisciplinary, Job Announcement by Monica List. Bookmark the permalink.